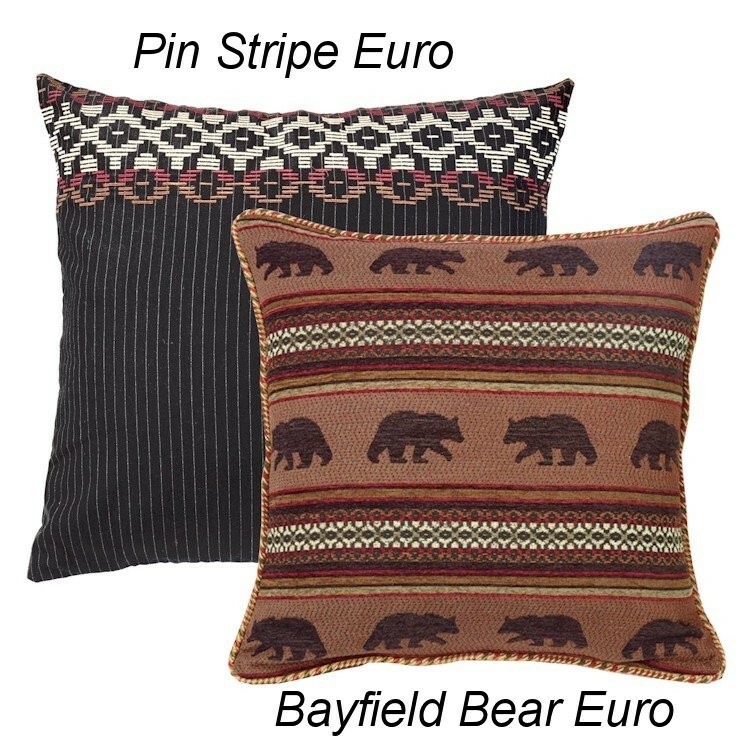 The Bayfield Bear Duvet Sets features a duvet cover with bands of woven bears and geometric stripes. The handsome tailored plaid bedskirt combines the colors found in the duvet cover and the pillow shams are black pin stripe accented with the bedskirt plaid. 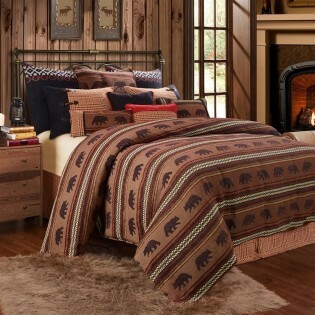 Predominate colors in this bedding ensemble are Brown, Tan, Red, White and Black. 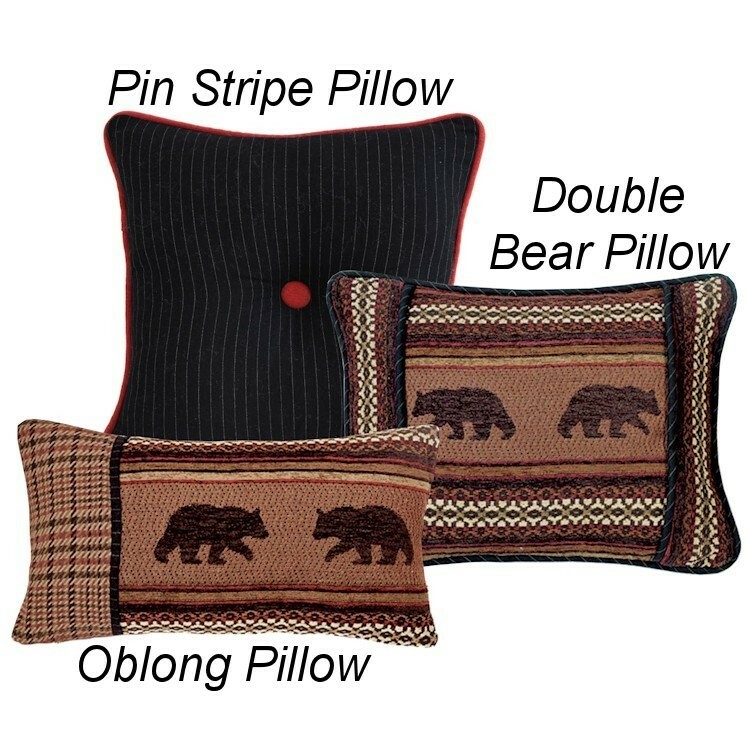 A single plaid accent pillow rounds out the set.